Father's Day is a great time to replace Dad's old tools with new, high-quality tools that will make work easier. My husband and I have made this a yearly tradition after seeing the sad state most of his father's tools were in. Summer typically means lawn work, so this Father's Day, we've decided to focus on lawn and garden tools. Investing in professional grade tools is worth it in the long run. We learned this the hard way after replacing far too many less expensive, lesser quality tools that lasted only a short time. This year, we've decided to gift the Vesco Professional Hedge Shears from Garden Tool Company. 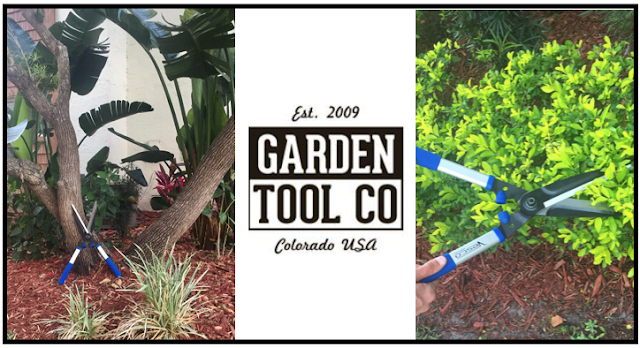 Garden Tool Company is a fantastic site for ordering professional grade and heavy-use tools at an affordable price. 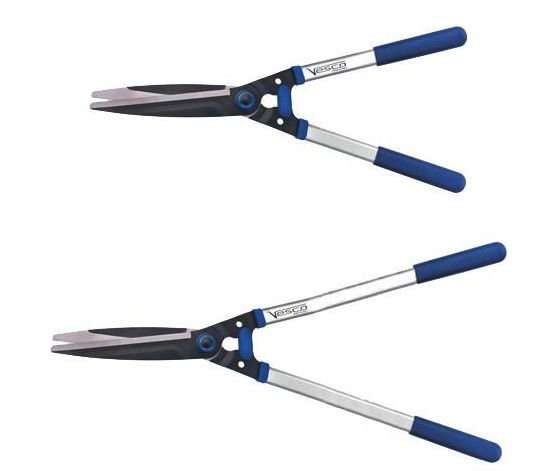 Handmade in Italy, the Vesco Professional Hedge Shears features blades cut from carbon steel which have been tempered for greater toughness, aluminum handles designed in an oval shape for strength, shock absorbers to reduce fatigue, and comfortable cushion grips. Carbon steel is the way to go for long lasting shears. This design is a nice mix of old world craftsmanship with new technology. You'd be amazed at how much faster yard work can go with high quality tools. The straight blade and padded handles make them perfect for trimming bushes and vines. We chose the 22 inch blades, but they are available in the 30 inch length as well. Approx. Weight: 22” = 2 lbs 5 oz, 30” = 2 lbs 9 oz. Quality tools can be tough to find these days. We're really happy with the solid construction of these shears and expect them to last for a long time. We appreciate that Garden Tool Company actively searches out the best tools on the market today and offers them at an affordable price. Browse the entire Garden Tool Company selection here. Disclaimer: The products featured in this post were provided by the Garden Tool Company. As always, our posts are our own, honest opinions.